Hi everyone! Happy almost weekend! I am so excited because I have next week off! So excited for a little break! This week is all about neutrals! I love neutral looks. This black and tan combo has to be one of my favorites in the fall. I just picked up this sweater and I love the way it is cut. Perfect to layer with a cute turtle neck. 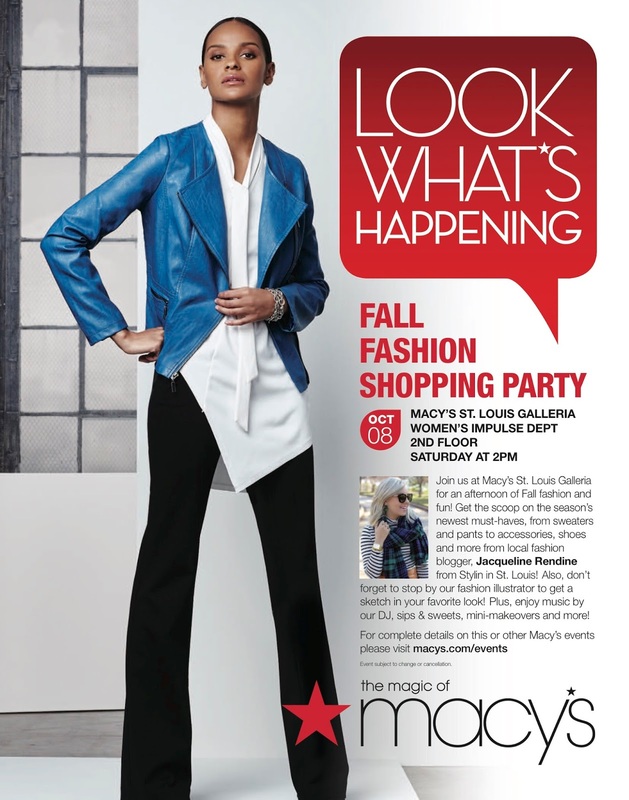 This weekend I am hosting an event at the St. Louis Galleria with Macy's! I will sharing my favorite looks for fall! Come stop by between 2-4 PM. I would love to see you there! 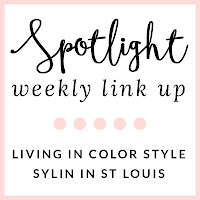 Spotlight: Our spotlight of the week is Jules of Scorse of Styles! We love the LBD that Jules is wearing! It look fabulous on her! We love the zipper detail in the back! You can never go wrong with a little black dress! Be sure to check out her blog! 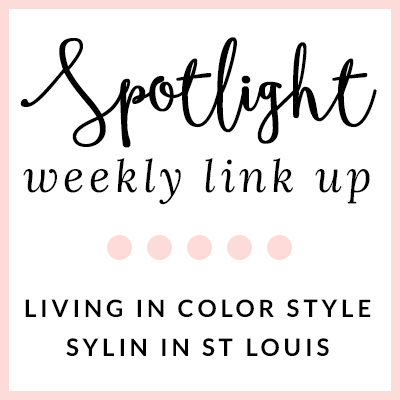 Next week: Next week our spotlight weekly theme is STRIPES! Thanks for linking up! See ya next week! Great neutral for fall, loving your clutch. Great neutral look. So chic. Good luck with the hosting the event. Love the neutrals & this sweater is super cute! I have always loved black and tan together and this is one of my favorites ways to wear it...cute combo on you and pairing a lil leopard with it is PERFECT!!! Love this black and tan combo! Good luck with your event this weekend! 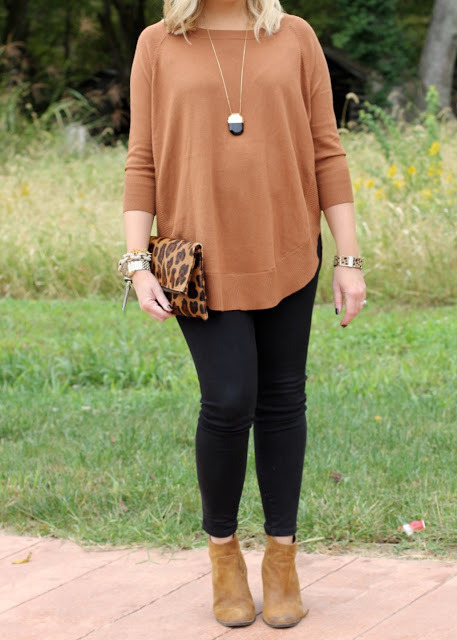 Just love the warm earthy color of that top on you! Love the earth hues of this look!!! So cute + cozy for fall= that sweater is dreamy! Love your neutrals! Black and tan for the win. Love this color combination! Definitely checking out your Macy's event details - how fun! Such a great outfit, perfect for countless occasions! That sweater looks so comfy and cozy! A winner for fall! Loving this look! Especially the pop of leopard :) Enjoy your week off!! Love the outfit. This is the perfect outfit for fall! I love this simple black and tan outfit. The leopard print clutch is fab!